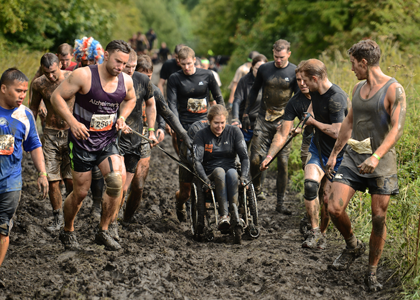 Home > All sports > Other sports > Event: Tough Mudder…in a wheelchair? 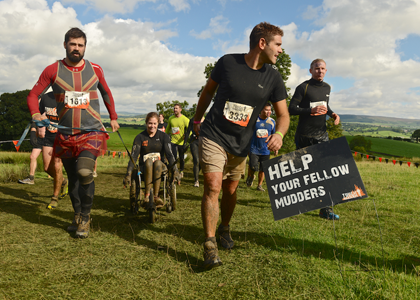 Over a breezy weekend in Yorkshire, around 13,000 brave Mudders descended upon the usually peaceful Broughton Hall Estate in Yorkshire to take on the fourth UK Tough Mudder of 2013 – the military style obstacle course. 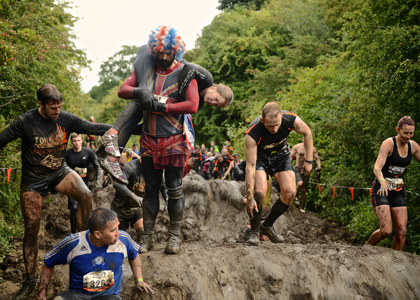 Over the past four weeks the Broughton Hall Estate in Skipton, Yorkshire has been transformed into a muddy haven, as the nineteen treacherous Tough Mudder obstacles including course staples Arctic Enema, Kiss of Mud, Everest and Electroshock Therapy were erected. In the ultimate test of fitness, endurance, mental strength and camaraderie, participants were then challenged to navigate their way around the gruelling 12-mile course. With the mixed weather conditions adding to the tonnes of tough mud, Mudders – donning a variety of outfits including leopard print leotards and superhero costumes – negotiated muddy trenches, waist-high lakes, ice-cold water and claustrophobic tunnels. 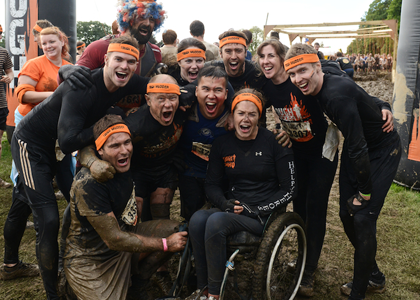 And if that wasn’t enough, Mudders were presented with 10,000 volts of ‘Electroshock Therapy’ before crossing the finishing line and earning their pint and coveted orange Tough Mudder headband. 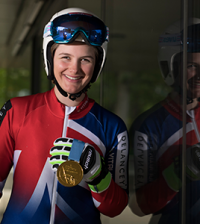 Tough Mudder history was also made as Nikki Emerson became the first person to complete a Tough Mudder course in a wheelchair in Europe. 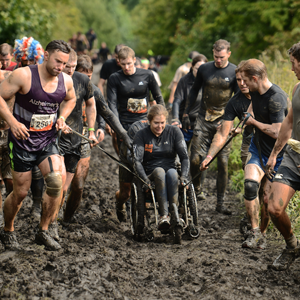 Nikki, along with a team of friends, took on the hilly course in a specially modified chair, conquering the infamous obstacles with the grit and determination that Mudders have become known for.